WordPress is awesome. It is user-friendly, reliable, and adaptable. No wonder it now powers 30% of all websites! There’s no denying that WordPress is the world’s top CMS. 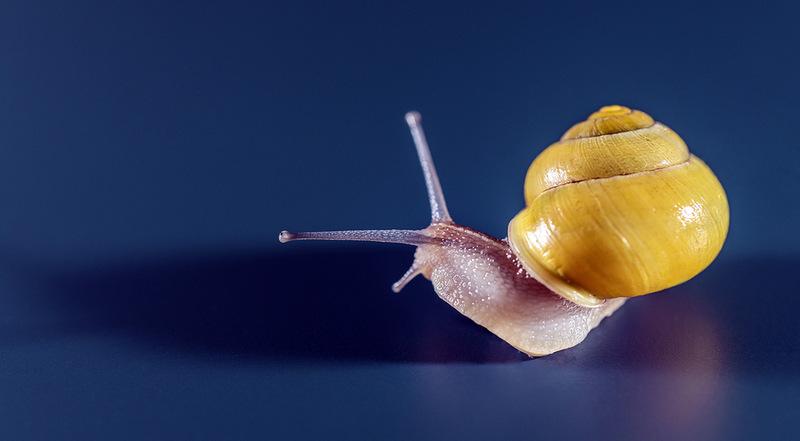 However, even with all the love and accolades, why is your WordPress site so slow? The first step in diagnosing and fixing a slow WordPress site is getting some proper information on the site’s speed. A number of applications can help you do this. Many folks are aware of Google PageSpeed Insights. However, many people are too trusting of Google PageSpeed. Did you know that Google PageSpeed doesn’t measure your site’s load time?! While Google PageSpeed can help identify slow server speeds it is not the best option for measuring your site’s speed. When trying to learn what makes a WordPress site so slow, use GTMetrix and/or Pingdom to measure your site’s speed. Tools like Pingdom, recommended by top caching plugin developers, can give you much better information on what is slowing down your site and how to make it faster. The list of reasons for a slow WordPress site can be long. However, there are a few factors which can have the biggest impact on your site’s speed. In other words, while there may be dozens of tweaks you can make to improve performance, getting some of the ‘low-hanging’ fruit can give you the biggest gains with the least pains. Firstly, you need to look at your hosting. Typically, with hosting, you get what you pay for. So, on cheaper shared-hosting, where resources are shared between many sites, sites will load more slowly. In contrast, on dedicated hosting, and in the case of WordPress, on Managed WordPress hosting, you typically see much better server load times. If your speed measurements indicate slow server response times, firstly discuss it with your host provider. They might be able to allocate more resources to your site or offer an upgrade to dedicated hosting. Next, if that approach doesn’t get you what you want, investigate other hosting options. When looking for a new WordPress host, bear in mind where most of your visitors live. You want to ensure that your site is served from machines near to your customers. That is, from a server in London if you’re in the UK, or from NYC if you’re in the Northeast of America. Work with your new host to ensure your site is served from the best physical location for your visitors. Moreover, If your site has a large global audience, you should also consider a WordPress CDN (Content Delivery Network). Essentially, a CDN is a network of servers located in different places that work together to load content faster by serving it from a location nearest your visitor. Finally, be aware that proper WordPress hosting will have a greater cost than cut-rate shared hosting. When comparing prices, be sure to compare ‘apples-to-apples’. That is, to understand what a ‘good price’ for this service looks like, look at pricing for dedicated hosting and WordPress Managed hosting, rather than comparing the cheapest shared-hosting with premium managed hosting. Secondly, a lack of caching can make a WordPress site slow. This is because WordPress sites are ‘dynamic’. That means that your site’s posts and pages are built on the fly whenever someone visits your site. This process involves a lot of steps and can be a big factor in a slow WordPress site. Enable caching! Some Managed WordPress hosts provide caching as part of their service. However, if that is not the case, try a caching plugin. Setup for WP Rocket (paid for) and WP Super Cache (free) can be complicated. However, there are a number of tutorials that can help you, or hire your web developer to ensure a proper configuration for your site. Next, large image files can be culprits in making a WordPress site so slow. While, images are an important element of any good-looking site, you must actively manage their size. Though caching helps stop your visitors from re-loading images on every visit, when caches are cleared or new images added, your load time suffers. So, optimize your images for speed. Using an image compressor plugin, you can get big gains in site speed with no coding. For example, we improved this site’s full load time by 1.5 seconds simply by compressing our images. There are a number of free and paid-for compressors to choose from and it is worth looking into what’s best for your site. Lastly, plugins can make your WordPress site super slow. WordPress plugins make the world go round. The ability to ‘plug-in’ additional features is a huge advantage of using WordPress. However, plugins can have a big impact on your site’s speed. When WordPress sites are slow, over-use of plugins and/or use of poorly-designed plugins is often an issue. Choose plugins wisely. Consider working with premium plugins. While many great free plugins exist, you can expect a higher level of performance from paid-for options. On the one hand, premium options benefit from more regular updates by their developers. This ensures the software keeps pace with changes, giving a higher chance for a better performing piece of software. On the other hand, if your plugin is slowing down your site, the makers are incentivized to improve their plugin for their paying customers. Does Site Speed Really Matter that Much? Okay, so I know how to measure my site’s speed and I know some of the things I can do to make it faster. Does it really matter? Yes. You’re reading this because you’re tired of waiting for your site to load. So are your customers. However, when WordPress is running slow, it has greater implications than just an annoying wait. In particular, slow load times impact your site’s search rankings (or, more accurately, the ranking of each post or page on your WordPress site). As with using an SSL connection, Google considers page speed a ranking factor for mobile and desktop searches. Thus, site speed must be part of your SEO strategy. Likewise, platforms such as Facebook consider site speed when assessing bids for advertising space. In other words, if you wish to be competitive online then addressing your WordPress site speed is worth your time and money. Need help increasing your WordPress site speed? We offer Managed WordPress hosting with: server and browser caching; compression; and expires headers as standard. We can work with you to get your images optimized and refine your use of plugins. Contact us anytime to discuss your requirements.